My story is interesting because I could have died. You would think that a healthcare professional like myself would have learned everything that was necessary to be personally healthy. At least two years ago I would have thought that?but, not true. 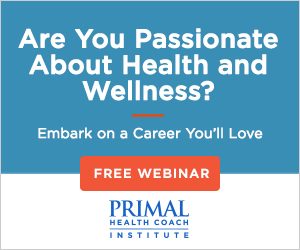 Medical and dental professionals have a paltry amount of nutritional training?and no training in the importance of primal nutrition and lifestyle. I am a periodontist: a dentist who has specialized in the treatment of gum disease. Today, I have been in practice in South Carolina for 40 years. That is a long time. When my story began, I was in practice for 32 years. After all these years, I still find it interesting how lessons from my athlete days can pop up in other areas of life. In my competition era, for example, one of the things that helped me continually better my performance was a well-honed, disciplined inner focus. In the deep reaches of a marathon, I better be focused on myself. That doesn’t mean I never had awareness of where other people were in relation to me – although those moments happened, too. It means I couldn’t afford to spend my energy outside of myself in those grueling hours. In a game of mind over matter, you learn not to waste critical mental resources. It’s that time of year again, for feasting on savory meats and holiday fare ancestral style, and celebrating friendships and family with gift wrapped treasures of the contemporary kind. But why not bring something a bit more primitive to the holiday season…especially for the kiddos? I am stoked to announce a Primal Blueprint Publishing endeavor that’s been brewing for a couple of years now, one that fills a huge gap in the paleo community—an action adventure picture book of the Primal kind made just for kids! If you’ve been looking to introduce Primal principles to your children in a fun and educational way, then Lil’ Grok Meets The Korgs is the perfect primer. Chef Rachel Albert, Healthy Cooking Coach and dear personal friend, has been battling stage IV metastatic breast cancer for three years. She has one small spot left to clear up, but her treatment has hit her pretty hard financially and she’s asking for your help. If you can spare anything, it would mean a lot to her and to me. Dropped by the Dr. Oz show recently to represent for the paleo movement. The episode aired last Friday, a preview of which can be viewed here. Let me know what you think in the comment board. 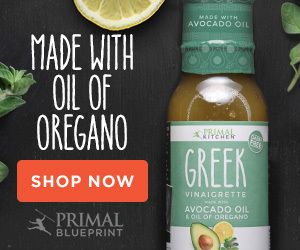 In case you missed the big announcement, Primal Mayo is coming soon! Check out the announcement post and be sure to enter to win a jar from the very first batch. Ever wonder what you’re made of? Starting tomorrow and going through Friday the 19th, Ben Greenfield is putting on REV Yourself, a free online conference where Ben and 25 health and performance experts (including yours truly) help you discover and realize your ultimate performance potential. Everything goes live tomorrow, so sign up today!